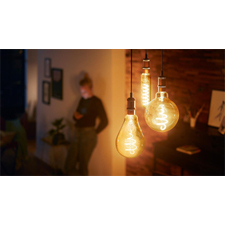 Earlier this year at the Light + Building 2018 trade show in Frankfurt, Germany, Philips Lighting announced a string of new initiatives aimed at the transition to more LED lamps as well as the inclusion of LEDs into the “Internet of Things” (IoT) in homes and buildings worldwide. First the company announced IoT platform called Interact, designed to handle data collected from connected light points, sensors, devices and systems. The scalable, cloud-based platform uses data management, data processing and machine learning to create data-enabled services beyond just illumination. Interact is also the name of the connected lighting systems can generate and upload data to the Interact IoT platform. Current Interact platforms include Interact City, for public space lighting, roads, streets, pedestrian areas, parks and plazas; Interact Landmark for architectural lighting; Interact Office for offices and commercial buildings, Interact Retail for large retail and food stores and Interact Sports for stadiums and arenas. Finally, Interact Industry will be for the lighting needs of factories, warehouses and logistics centers. Philips also claims to be the first major global lighting company to “LiFi-enable” luminaires from its existing office lighting portfolio. LiFi is a two-way, high-speed wireless technology similar to WiFi using light waves instead of radio waves to transmit data in a highly secure way. Philips Lighting’s office luminaires enabled with LiFi technology provide a broadband connection with a speed of 30 Mb per second (Mb/s), without compromising lighting quality. At 30Mb/s a user can simultaneously stream several HD-quality videos while conducting video calls. A French real estate investment company is piloting the ground-breaking technology in its smart office in La Defense, Paris. Just before the trade show, Philips Lighting and American Tower Corporation unveiled their first Smart Fusion Pole project in the United States. The companies have developed a first-of-its-kind, aesthetically designed light pole that brings together quality, energy-efficient LED street lighting and wireless capabilities that can support services from multiple mobile network operators in a single pole. The system is designed to deliver better LED street lighting and broadband simultaneously in roadways, streets and parking lots in dense urban areas. Huntington Beach, California has implemented 200 of the Smart Fusion Poles. To spur the movement to LED lighting, Philips Lighting introduced the Philips TrueForce LED Road, and the Philips CorePro LEDtube Universal T8. Both are new lamps designed to be ‘plug and play’ replacements for existing non-LED streetlights (Road) and fluorescent tubes (Universal T8). In addition, the company launched a new series of decorative LED bulbs called the Philips deco LED, Philips deco LED giant modern and Philips deco LED giant vintage to its line of lamps for the home. The new lamps are highly stylized bulbs with single vertical or swirling filaments meant to give homes and industrial-chic feel, the company says.